Charles Hadlock studies corporate governance, mergers and acquisitions, financial constraints, and managerial labor markets. His research has appeared in several leading journals in finance, economics, and accounting. He was the winner of the 1997 Merton Miller Prize awarded by the Journal of Business and the 2011 and 2014 Michael Brennan Prize awarded by the Review of Financial Studies. Hadlock has taught at the University of Florida, the University of Illinois, the University Michigan, and the University of Virginia. In 2008 he was nominated for the Ross School of Business MBA teaching excellence award. Hadlock is currently the Frederick S. Addy Distinguished Professor of Finance at the Eli Broad Graduate School of Management at Michigan State University where he has won the Executive MBA Teaching Award on six different occasions. 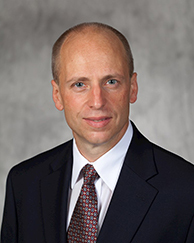 Hadlock earned his PhD in Economics from the Massachusetts Institute of Technology in 1994 and his BA (with highest honors and highest distinction) from the University of Michigan in 1989 with concentrations in economics and mathematics. Corporate finance, corporate governance, managerial labor markets. With Ramana Sonti, "Financial Strength and Product Market Competition: Evidence from Asbestos Litigation," Journal of Financial and Quantitative Analysis (forthcoming). With J. Pierce, “New Evidence on Measuring Financial Constraints: Moving Beyond the KZ Index,” Review of Financial Studies (2010). With M. Cichello, C. Fee, and R. Sonti, "Promotions, Turnover, and Performance Evaluation: Evidence from the Careers of Division Managers," The Accounting Review (2009). With C. Fee and J. Pierce, "Investment, Financing Constraints, and Internal Capital Markets: Evidence from the Advertising Expenditures of Multinational Firms," Review of Financial Studies (2009). With C. Fee and S. Thomas, "Corporate equity ownership and the governance of product market relationships," Journal of Finance (2006).